You guys! I’m so excited! Like it’s 3:45 am and I can’t sleep kind of excited! 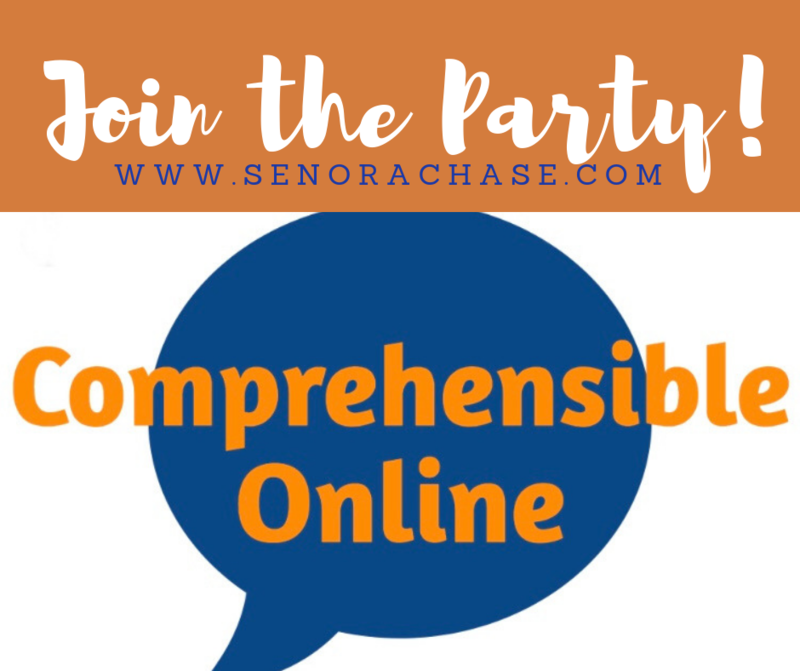 Last night I got word that my proposals were accepted for the Comprehensible Online Conference!!! I mean, I talk to lots of people about CI Teaching… but mostly it’s because someone lets me talk, but this time someone is paying me to talk. I’m so excited! And that’s why I’m composing a blogpost at 3:50am! The Comprehensible Online Conference is awesome because it’s a conference you attend from your couch. Or the treadmill. Or in your jammies from your bed! Professional Development in your PJs!!! (Introverts, rejoice!) Mark your calendars- March and April, 2019. It’s two months of videos, classroom demos & resources from the experts in the biz (and yours truly!) that you watch anytime, from anywhere. You make the schedule. You bring the snacks. So far there are 30 confirmed sessions from 17 presenters and they’re adding more all the time! I can’t wait to watch them all!! Want to attend?! And want $25 off your registration fee?! Register here and enter the code AnneMarie19 at checkout as your coupon code. You’ll get $25 off registration and I’ll be real excited to “see” you in the Spring! Happy Thanksgiving! I’m so thankful for this little blog community that’s about to turn 1! Thank you for reading and thank you for encouraging me! I am presenting, too! I can’t wait to see your presentations- I know they will be amazing! I saw you on the schedule! Can’t wait to watch you!